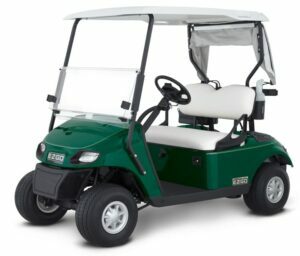 E-Z-GO® has yet again revolutionized electric golf cars with its ELiTE™ Series vehicles, activated by Samsung SDI lithium technology. With high-efficiency, zero-maintenance battery power and a five-year, unlimited-amp-hour warranty, ELiTE Series vehicles give you the lowest operating costs the industry has ever seen. 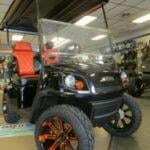 Golf cars are incredibly versatile. You don’t just find them on the golf course anymore. 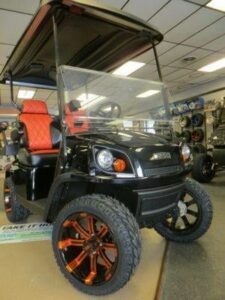 They can be found in a variety of settings: from farms to retirement communities to vacation homes and everything in between, golf cars are in demand! 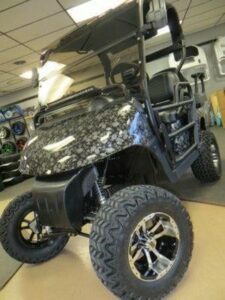 When it comes to landing that perfect golf car to meander around the vast expanse that is your property, golf course, camp ground or work site, you need to be thorough in your search and analysis. You do not want to just go to a junkyard, find one in a bad way and take it home. Nor do you want to dig up that rusty one buried under layers of times remnants in the corner of your shed from 1973 (though we do have a talented crew on-site who can resurrect through repair, that oldie from your garage or shed). 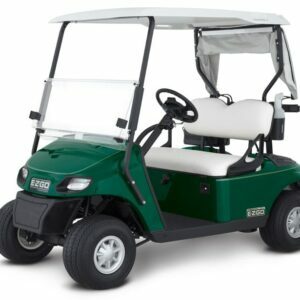 You want to come to a professional company with Five Star Golf Car. 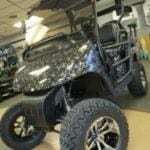 We sell it all, new, refurbished, even customizable options. The real question, for you, may be ‘do I go with gas or electric’.